Bill Duke’s electrifying crime thriller is a dazzling Los Angeles neon noir propelled by a stellar hip-hop / R&B soundtrack, including the iconic title track by Dr. Dre and Snoop Dogg. 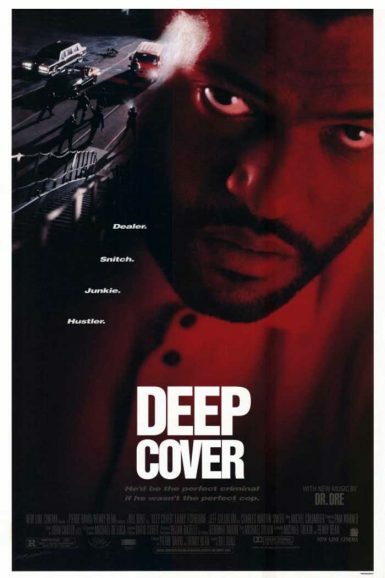 Laurence Fishburne plays a dedicated police officer recruited by the DEA to go undercover – Deep Cover – to help take down a major drug ring. But first he’ll have to gain the trust of the cartel’s eccentric lawyer (Jeff Goldblum). As he perilously gets closer to the top, he’ll soon find there’s a thin line between catching a criminal and becoming one. Fishburne and Goldblum sizzle in career-best performances from a riveting script by Michael Tolkin and Henry Bean.